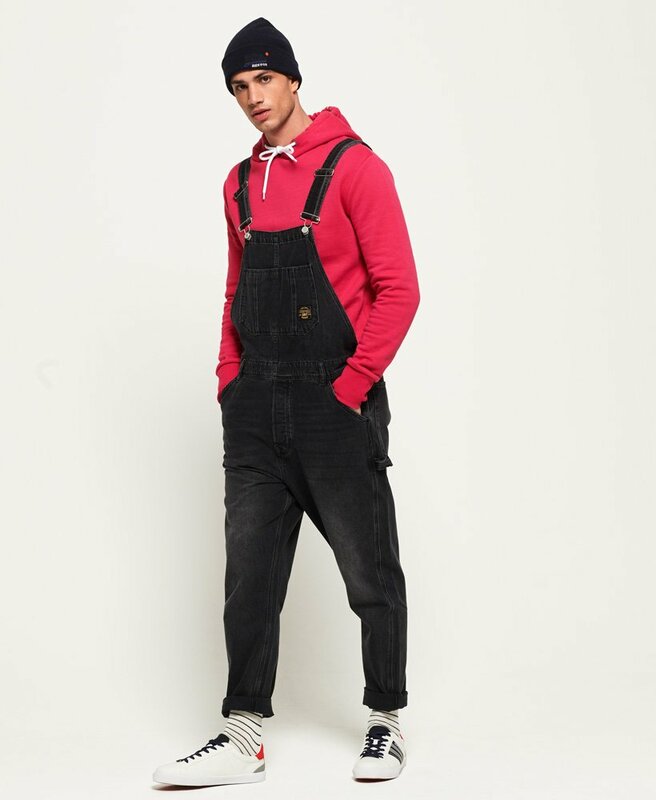 Superdry men's Conor dungarees. Add some edge to your denim collection this season with the Conor dungarees. Classic in style, these feature adjustable straps for your perfect fit, a front pocket on the chest and two side pockets. 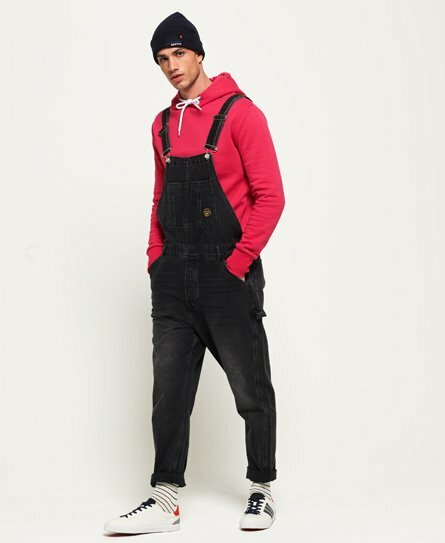 The Conor dungarees also feature two back pockets and side button fastening for ease. With a relaxed fit in the leg, these dungarees are completed with a logo badge on the chest and back and Superdry branded buttons. Style with a striped t-shirt and trainers for a relaxed look this season.